The University of Geneva, together with the University of Sassari, organises a workshop on Methodologies and techniques for the analysis of surveys and longitudinal registers, from 18 to 20 June in Alghero (Italy). 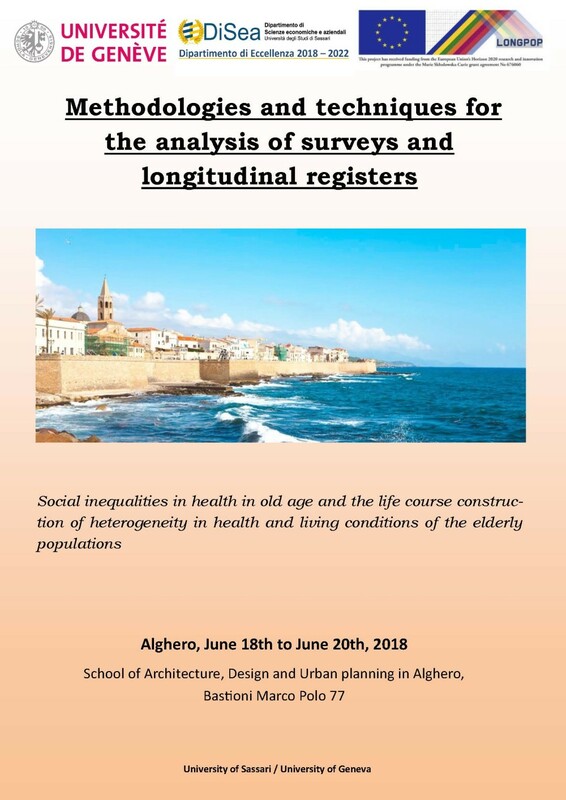 Based on the research topics of many LONGPOP ESRs, this workshop’s topic is centered around social inequalities in health in old age and the life course construction of heterogeneity in health and living conditions of the elderly populations. Each of the three days will be held by a different professor and will start with a plenary lecture given by a researcher, focusing on data and analytical methods, theories, and results and interpretations.